The Affordable Care Act (aka Obamacare) is a set of health reforms passed by Congress, signed into law by President Obama, and upheld by the United States Supreme Court. The law itself touches on everything from how hospitals are reimbursed for care to whether chain restaurants post calorie counts on their menus. But most of the controversy and misinformation is centered around the provisions of the law that relate to the efforts to insure about 30 million Americans through subsidized private insurance or government-provided Medicaid. Since the ACA was signed into law by President Obama in 2010, the republican party and conservative media have used every day of the past 3 years to disseminate false information in hopes of killing it. They lost that fight but they were very successful in getting a large amount of the public to believe their false information. So with the help of Ezra Klein’s Wonk Blog I’m going to post the truth about Obamacare and answer some of the most frequently asked questions. Is the Affordable Care Act better than Obamacare? Actually these two are the same. The official name of the new health care law is the Affordable Care Act or ACA for short. Newspaper headline makers started using the term “Obamacare” during the democratic primaries in 2007 because it was a lot shorter than printing “Obama’s health care overhaul”. Republican presidential candidates picked up the term in 2008 and began using it as a pejorative. The democrats and President Obama decided to “reclaim” the term and embraced it as a positive and it has stuck ever since. So just to recap, the Affordable Care Act and Obamacare are the same. 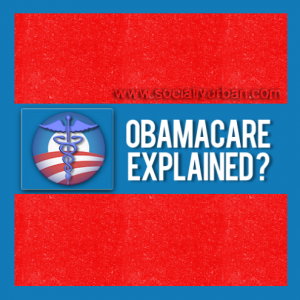 Who get’s insurance from Obamacare (ACA)? Here’s the biggest thing to know about Obamacare: Most people will never notice it. Obamacare mostly matters most for the 20 percent of Americans who are either uninsured or get insurance on the individual (or “non-group”) market. Anyone in those groups can get insurance through Obamacare. Those who make more than the federal poverty line, but less than four times the poverty line ($94,200 for a family of four), can buy subsidized insurance on the marketplaces. Those making less than 133 percent of the poverty line, and living in a state that has accepted the Medicaid expansion, can get Medicaid. The Congressional Budget Office expects that the Affordable Care Act will cover about 14 million of the uninsured in 2014 and 25 million by the end of the decade. That still leaves about 30 million people uninsured. More on them here. If I already have health insurance, do I have to care about this? Probably not. The truth of Obamacare is that it mostly affects the uninsured and people who don’t have employer-based or government-based health insurance. That’s a relatively small fraction of the population, even though we often talk about the law as if it affects everyone. How much are the premiums? That will vary depending on the state you’re in, your age, your health, your income, the kind of plan you want, etc. The fastest way to figure out your costs is to go to www.HealthCare.gov. Depends. Out-of-pockets costs in Medicaid are almost nothing. In the insurance marketplaces, however, there are four levels of insurance coverage: Bronze, silver, gold and platinum. These levels correspond to the amount of health costs they’ll cover for the average applicant: 60 percent for bronze, 70 percent for silver, 80 percent for gold, 90 percent for platinum (there’s also a bare-bones “catastrophic” option available to applicants under age 30). The lower your level of coverage, the more you’ll pay out of pocket. But the law also has secondary out-of-pocket protections, including limits on out-of-pocket costs for lower-income families. The Kaiser Family Foundation’s subsidy calculator will tell you if you qualify. Under Obamacare, it doesn’t matter. One of the really big changes that the health law makes to the insurance marketplaces is eliminating the relevance of preexisting conditions altogether. This is true for both plans sold on the new marketplaces, and those sold outside of it. This means that insurers won’t be allowed to ask you about your health, or charge you more because of it. Where do I go to buy it? But aren’t there a bunch of glitches? When the healtcare.gov site first went up over a year ago it definitely had glitches. Thankfully all the glitches and problems with the website have been fixed and it’s been running smoothly ever since. How long do I have to sign up? The next open enrollment period starts on October 7, 2014, however you can do some comparison shopping on the www.healthcare.gov site anytime you want. What if I don’t want to buy insurance? First off: Nobody will come knocking down your door, demanding that you purchase a health plan. But if you decide not to purchase coverage, you will have to pay a $95 tax penalty. This would be deducted from your 2015 tax return. Can the government put a lien on my property or arrest me if I don’t get coverage? While this is a popular Obamacare myth, it is, in fact, untrue: The federal government is actually really limited in the action it can take to collect the tax penalty for not purchasing health coverage. It can’t send agents to your door, nor can it put a lien on your house. The most they can do is take the fine out of your tax refund – or, if you’re not getting a refund this year, put it on your tab for next year’s refund. What if I can’t find an affordable plan? Do I still have to buy something? Nope! Although it’s the government, not you, who gets to decide what counts as “affordable.” The health care law says that if you can’t find a plan that costs less than 8 percent of your income, then you’re exempt from the requirement to purchase health insurance. This will, obviously, depend a lot on an individual’s circumstances and not the sticker price of the plans sold on the new marketplaces. I’m 25 and uninsured. What does the law do for me? For you, Obamacare might be the best deal: The health law allows young adults up to age 26 to stay on their parents’ health insurance plan. About 3 million people have taken up this option so far. So start bugging your mom to fill out the paperwork. What is a Government SUBSIDY? A government subsidy is a form of financial assistance. In simpler terms it’s money from the government. How are the subsidies paid for? Are my taxes going up? There are essentially two big funding streams for the Affordable Care Act. The first are cuts to Medicare reimbursements. We heard a lot about this during the presidential campaign, when Mitt Romney would talk about the law cutting $716 billion from Medicare. These are cuts largely to the rates that we pay doctors who see Medicare patients, and also what we pay private insurers that cover these subscribers. The other big funding source are taxes on different health care industries like hospitals, insurance companies and, more relevant in recent days, medical device makers. There’s a debate about whether those taxes will get passed on to consumers, but, as it stands, they’re not direct taxes on you as an individual. There is one tax that is applied to some individuals, which began last year: The Affordable Care Act raised taxes on investment income for people who earn more than $200,000. Did the President exempt himself and congress from the mandate? No one is “exempt” from the individual mandate. I know republicans have repeated this “exemption” nonsense over and over but it still doesn’t make it true. Where can I get more information about Obamacare? *Most of this information came from Ezra Klein’s Wonk Blog article “Everything you need to know about life under Obamacare“. Is there a short video explanation I can watch? Want to find out how much money your doctor has taken from drug companies? Follow the link and enter their name into the widget. It just might shock you. I was beyond shocked when I saw how much my doctor has taken. You indicate that if we have healthcare through our employer, we likely won’t “interact” with Obamacare, and that there is some debate about whether the taxes will get passed on to consumers. There should be no debate, as the ACA/healthcare reform has caused numerous increases to existing healthcare plans. I am employed by the largest health insurer in the country, and they have elected to pass on an Affordable Care fee directly to employees (deducted via paycheck); they are not hiding it in our premiums. This has worked out to be an additional $250 per year for me as I have family coverage. For individual coverage it’s just less than half that amount. I do not know how much Obamacare is responsible for increases in cost, but my total family out of pocket expenses increased by $1150 for 2014 (plus the $250). That means I need to make an additional 67 cents per hour just to offset the INCREASE in healthcare costs for this year. Part of this increase is likely due to mandated preventive care and removal of pre-existing condition clauses, as well as extended dependent coverage through age 26 and removal of lifetime caps. Last I checked my company had in excess of 70,000 employees, and it would be reasonable to believe a majority of those have health coverage and are affected by these increases. My point is, it’s not just funded by tax dollars. Insured Americans are paying for it through their employer’s plan as well. It’s a myth to say that the ACA has made healthcare more affordable. It’s much more expensive for those of us covered under our employer’s healthplan. I don’t doubt your stated situation but we need more than anecdotal evidence to gauge the laws effectiveness. I think the reported numbers from the nonpartisan Congressional Budget Office along with data reported by the insurance companies gives us a much clearer assessment on how the law is working. There will be random anecdotal evidence of circumstances where a small minority of Americans will see some kind of premium increase. But even in those cases they will also benifit from the overall lower cost of healthcare thanks to the effectiveness of the ACA’s competitive insurance marketplaces that force insurers to compete for customers by cutting costs. The Congressional Budget Office explains that Obamacare’s premiums are cheaper-than-expected because its insurance features lower payment rates for providers, narrower networks of providers, and tighter management of their subscribers’ use of health care than employment-based plans do. Republicans who warned of the Obamacare apocalypse who voted 50+ times to repeal it, and even shutdown the entire government of the most powerful nation on earth in hopes of forcing a repeal, have all completely stopped talking about it. Republican governors who rejected the medicaid expansion are now changing their minds and looking for ways to accept it but save face at the same time. Some of them are planning to change the name of the program like Kentucky did with it’s version of Obamacare (by calling it Kynect). Those are the signs of the laws success. The predictions of failure were wrong, the demagoguery couldn’t stand up to facts and figures, 9.5 million more Americans are now insured, America is stronger and healthier because of it. Welp my Aunt in Liberal state Maine had coverage that was great priced and perfect for her. She went to sign up for O-care and can’t find a thing in her price range at all. So anyone still calling it the Affordable care act seriously should consider taking their heads out of their a**. And might I add because I forgot to mention her coverage was for Multiple Sclerosis. There are 313 million people in this country. I think it’s beyond irrational to assess the merits of the Affordable Care Act solely based on your Aunt in “liberal state Maine”. Thanks for visiting my blog and I really honestly do appreciate you taking the time to leave a comment but you gotta admit that what you’re proposing is a little silly. That’s kind of the point I was making, she HAD insurance that already accepted her WITH her pre -existing condition. NOW that OBAMA lied that you could keep it “PERIOD” she lost her insurance and nothing in Obama care is nearly cheap enough for her to afford. And she isnt the only one having problems no matter how you want to blind yourself to reality. The only people that are finding cheaper insurance are living off of government programs and stipends. I’m sorry but America is not about butting into peoples lives, it’s about the Government NOT making it a socialist country for these exact reasons. It is even more irrational to accept this kind of BS in this country when no other country has ever had better health care through socialist means, all the others came here, we didn’t go to Canada or England, they came here for help. Notice that has already pretty much come to an end and the fact Hospitals have had to shut down over this just proves it was written by insurance companies to make them rich, not to save our lives. America never had the best healthcare in the world. This has been studied and ranked year after year and we’ve never come close to being #1. We’ve done well in some specific areas like cancer treatment but we’re not even #1 in that. All of these rankings I’m posting links to below were pre-Obamacare. It’s nice to think we are number 1 at everything in this country, but the reality is we’re not. Now that healthcare has been expanded to cover more Americans, I think we will see an increase in our rankings among the other countries. It’s too early to say if that will happen for sure, so I don’t want anyone to think I’m stating that as a fact. It’s just an educated guess based on the information I have available. Again, I don’t doubt your aunt’s situation at all. As I said before there will be those who see an increase in their premiums. It’s really good that she was fortunate enough to have a plan that included preexisting conditions. If I were you I’d be happy that everyone can now have a plan that will not exclude preexisting conditions. If we have a system that only helps a small number of people, we should welcome a new system that expands the great benefits your aunt enjoyed to more people like her. That isn’t evil, Marxist, or communist. You are right about it being a form of socialism, but so is social security, disability, unemployment, etc. All of those programs are very popular and widely accepted because we judge them on the results they produce. Not on whether it’s socialism or whatever else. Those labels are meaningless because our democracy is a patchwork of a lot of different ideas and laws taken from all forms of government. Capital punishment was practiced in monarchy’s and is currently practiced in countries with sharia law. We have capital punishment here in the United States as well. But we haven’t thrown out capital punishment because it’s practiced in other forms of government. So to be against something just because it’s associated with another form of government we dislike is a little disingenuous and quite hypocritical. Every agency following the Affordable Care Act so far has documented the success it’s having overall. I pointed out some of that in my update and gave links to my sources. I understand you are not happy with the law, and you feel the situation with you aunt means everyone is experiencing the same thing. But facts are facts and the facts that are out right now are very positive. Anecdotal evidence can be whatever that one person wants it to be. So I will always trust facts over personal anecdotes. The thing I find most odd is the attitude that everyone who benefits from Obamacare are not deserving of healthcare. That is absurd, insulting, and absolutely wrong. People who work minimum wage jobs are working just as hard as some of the fortunate people who get paid a living wage. There are only 6.7% of the American public who are currently unemployed. These are people who want to work but there aren’t enough jobs available. Americans who receive food assistance only stay in that program for an average of 3 months. That means the people who get food stamps aren’t sitting back enjoying the government benefits all their life. They only use these services between jobs, or when they experience a dip in their pay due to hours being cut. A very large majority of people on government assistance are working full time jobs who pay them just enough so they’ll qualify for gov assistance. This is wrong. Believing these people do not deserve basic healthcare is wrong. Believing that I’m a better person than someone who’s poor because I have a good job and a college degree is wrong. I’d hate to live in a country who thinks that low of their own citizens, and would look down on them as undeserving parasites. That is very far from the ideals and values we like to say we have here in the UNITED States of America. And you really think this is all about Obama, who is in fact a marxist comy who wants America under socialist life style. Well guess what, I didn’t bother voting because Romney had the same exact HC plan, and Herman Cain dropped out so what was there to vote for? Oh right, same s*** just a different color a**h****. I do my research, I don’t just bow down to political paid false reporting news who lap dog to what ever political party pays them. Stop making assumptions this is all about being vindictive to Obama, I don’t like any Marxist who states things like “The problem is the founding fathers put in a system where I can’t force congress to do what I want them to do, so I have to find a way around that.” Those are the words of a communist. Communist’s only support socialism that always brings on Marxism to kill people off (Also using health care to do so, just ask Hitler) so they don’t have to worry about to many people fighting to take their lives back. And your fake quote that you tried to pass off as something President Obama said leads me to question your truthfulness and credibility. Your fake quote I’m referring to is: “The problem is the founding fathers put in a system where I can’t force congress to do what I want them to do” (very misleading but you did inspire a good Jeopardy category: Alex I’ll take THINGS THE PRESIDENT NEVER SAID FOR 200 lol). But seriously, you can’t put quotation marks around something that isn’t a quote… but all of your comments lack facts that can be verified anyway, so anything goes right? You say you’ve done research but provide nothing to verify that. I guess everyone is supposed to trust you and your research over verifiable facts provided by experts and studies who have experience and credibility in the field of healthcare and government oversight. I think I’m better off trusting the experts. Your comments repeat the same ideas over and over. Marxist, communist, socialist, marxist, communist, socialist, marxist, communist, socialist, Hitler. I love debating with you so here’s a little advice I think you should consider before writing your next comment: Demagoguery and rants are bad ways to express ideas, and they almost never convince anyone to change their minds. I know that sounds condescending but I assure you my intentions are honest and sincere. I suspect that many of the young who have signed up are getting Medicaid, or have an expensive, chronic health problem and could not get health coverage previously. In otherwords, they are not off-setting the costs of others, but rather driving up the costs for everyone. Those who find it easy, altruistic, and morally responsible to give away other people’s money usually feel quite differently about giving away their own. Thanks for your comment Tommy. The truth is we don’t have any data to base yours or my suspicions just yet. You may be right but I’m very optimistic about the surge of young people signing up so far. The good news is we don’t have to wait years or decades to find out who’s right and what the accurate numbers are. If I had to guess I’d say it’s probably not as high as the President has hoped but nowhere near as catastrophic as the law’s opponents are projecting. And if you look at the Affordable Care Act as “giving other people’s money away”, then you could say the same for any government program, any tax incentives for businesses, poverty wage jobs that get subsidized by government programs, medicare, social security, etc. I’m a tax payer just like you and most other Americans. I believe it’s very responsible to use my tax dollars to lift my fellow Americans out of poverty and use a portion of my insurance premiums to subsidize insurance for those who can not afford it.